When I was a kid, I was always excited when the school would put students in the auditorium for a special talk by someone. Naturally enough, the ones I remember were when local meteorologists came to my school to talk about the weather. It was exciting to hear about what adults did for a living, plus it was nice to get out of normal classes. Meeting a meteorologist was probably one of the reasons I went into the field. 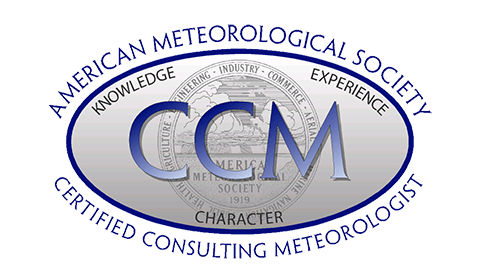 Nowadays, I don’t do forecasting on TV, but I have gained the skill sets to analyze a lot of weather and climate data. We’re talking about data at the petabyte scale, which is roughly a million gigabytes, or 2,000 laptops filled with just weather data. 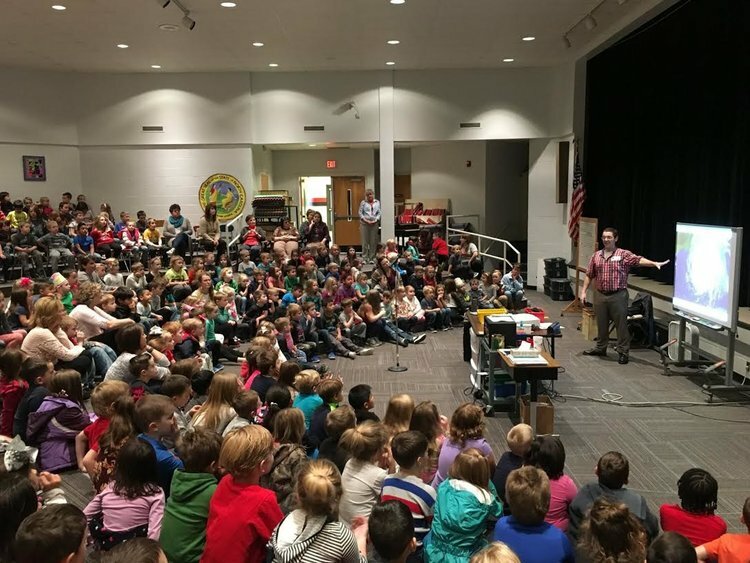 As an adult now, I have wanted to give back to the local community by telling kids it’s fun to learn about science, technology, engineering, and mathematics (STEM). I am lucky enough to go to schools around my area and see the exciting looks on kids faces when I show them a hurricane loop, or a timelapse of clouds flying over the sky. I then tell them the only way meteorologists and software engineers can build these graphics they see on TV and the internet is through computer programming. Without computers and code, we would have to analyze everything on paper. NOAAs National Centers for Environmental Information archives about 36 petabytes of data, with an increase of about 6 PB per year. The organization would run into many problems if this was entirely on paper. There are numerous resources out there for scientists and researchers to use if they are asked to visit a school. One of my favorites is Code.org, a nonprofit dedicated to expanding access to computer science in schools. Each year they host a week long Hour of Code where teachers can dedicate an hour to teach computer science and coding. They are not on their own either, as the website contains a plethora of activities for K-12 students, and they can invite volunteers to come to their schools and help out. The event usually occurs the first week of December, and this years Hour of Code is from December 3rd - 9th. I have been a volunteer for about 5 years now, and have gone to numerous schools in the area, inspiring hundreds, if not thousands of kids about coding. Depending on the classroom, we sometimes play a game on the code.org website. They have Star Wars and Minecraft games the kids can play. I tell them they need to use the building blocks to move the character on the screen, but what they don’t know is that they are actually coding to make that happen. It’s a very simplified example, but believe me when I say the kids get really excited if I tell them we are playing a Minecraft or Star Wars game. Example of Star Wars game, provided by Lucasfilm and the Code.org organizations. Sometimes I will go to a classroom that is strictly computer science or STEM related. Here, I dive into the weeds some more and about the types of coding I do on a day to day basis. In some cases, I even show them live code describing how an image or website is generated. There is a lot of flexibility during the hour of code, and the code.org website has numerous modules to help anyone. If you are interested, check out their website and look for an Hour of Code event in your area. It’s also never too late to sign up to be a volunteer. I really enjoy going out to schools during the Hour of Code. I don’t reach every single kid in the classroom, but if I can inspire one, I know I’ve done my job. One time, after a talk, a 12 year old came up to me and asked if I was a nerd. This person was not asking to make fun of me, but wanted to be reassured there were other nerds out there. I answered with a “Heck Yea” and a big smile came across their face. This person then proceeded to give me a high five. I reciprocated the offer.